In mid-2017, Firesafe proudly welcomed Geelong Fire Services into the Firesafe Group. Geelong Fire Services (GFS) is a well-established business in Victoria. The head office is in Geelong, and houses the design, estimation, finance and administration team. It is also the distribution centre for the majority of service, testing and dry fire work. 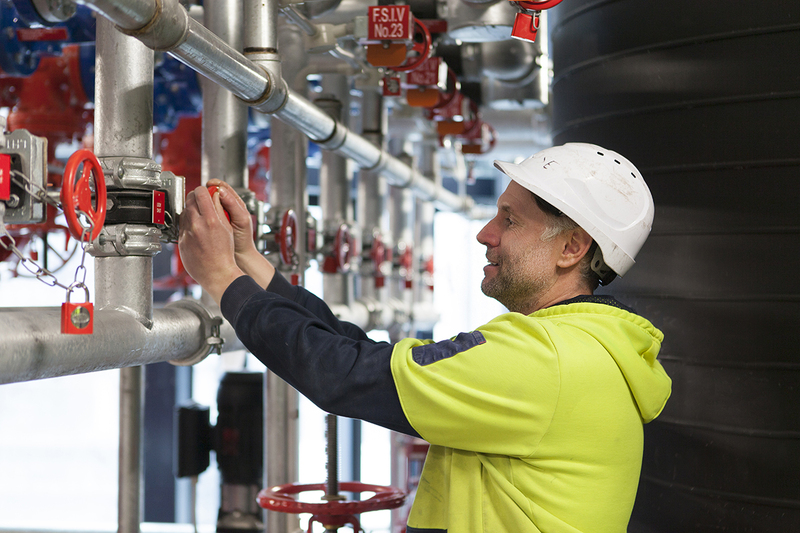 The majority of the sprinkler fitting teams work on major projects in the Melbourne CBD and surrounding suburbs. Like Firesafe, GFS also has considerable exposure to Tier 1 builders such as Multiplex and ProBuild. GFS has a long and proud history in the Victorian fire industry and shares Firesafe’s commitment to safety and quality. They too began as a family business and we commend Andrew and Linda Hutchison for their efforts in building their company. We hope to continue to build on their legacy. Adding to our geographical span has provided stability to the group and we hope it will continue to provide opportunities for our team who wish to extend their skills and networks in the future. Geelong Fire Services is headed up by Alessio Conerdi, who is the General Manager for Victorian operations. Ewan Downes and Dave Smith relocated from Perth to Melbourne at the outset and will oversee operations and business development, respectively. GFS will continue to operate under its existing brand as part of Firesafe Group.